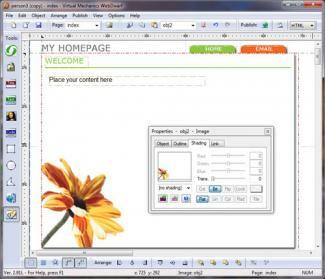 If you need a very basic website, using a free web page builder tool can be a good option. With drag-and-drop capabilities and other simple graphical tools, you can create pages without any knowledge of HTML coding. Furthermore, some products are web-based and come with free hosting for your website. If you're planning to create a non-commercial website, you might want to consider using WebDwarf. This free visual website builder from Virtual Mechanics allows individuals with no knowledge of HTML to quickly and easily create their own websites. Once you create your website, you can easily upload it to the web hosting service of your choice. Unlike many of the other free web building tools, there are no advertisements, spyware, or junkware built into the application. If you aren't already committed to a different hosting service, you may want to consider using the BlueVoda website tool. This application is free and just requires your first name and email address to download. As with WebDwarf, the system is very easy to use. There is no need to know HTML, thanks to the drag-and-drop functionality. 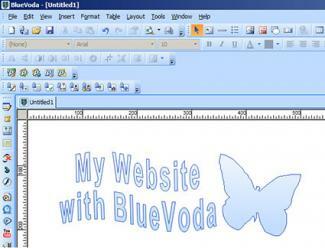 Unlike web-based options, BlueVoda does not come with free hosting for your site. You'll need to purchase a VodaHost web hosting account in order to publish the website you create with the program. 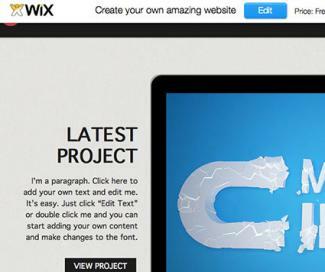 WiX is an online drag-and-drop website builder that utilizes HTML5 and enables you to create a variety of websites, including online stores, photo galleries, business websites and personal websites. After signing up for your account, you get free hosting for your website, which you can publish in a single click. While you can create a high-quality, ad-supported website for free, Wix also offers some premium packages at various prices. These packages include more disk space, additional bandwidth, ad removal, and the ability to use a custom domain. 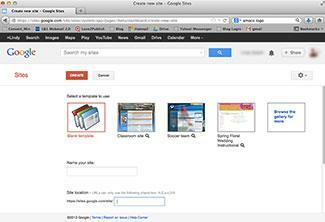 If you aren't concerned about having an independent URL for your website, you may want to try Google Sites. You can log in with your Google account and begin creating your own website right away, even if you have no programming or technical skills. There is no need for a hosting account if you use Google Sites, and your website will have a sites.google.com extension if you use this free web page builder option. While this may not be a problem if you're creating a site for informational purposes, you may want to use a freestanding URL for a revenue generating website. 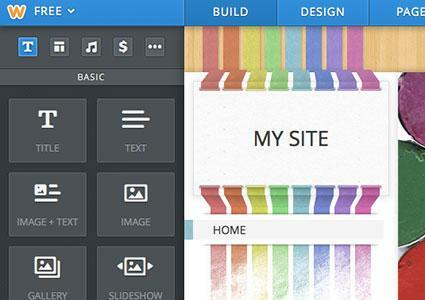 Weebly enables you to create a free website or blog using its drag-and-drop tools and selection of themes. No technical skills are needed since easy-to-use tools are available to customize a website that is viewable on both computers and mobile devices. In addition, you'll be able to track your website's statistics and utilize search engine optimization. Your account comes with a free subdomain on the Weebly website; however, you can also use a domain name. In addition, a pro account upgrade is available that supports larger file uploads and additional multimedia features. Keep in mind that you have to consider the needs of your customers and the credibility of your business if you are creating a commercial website. If you're creating a website to market your offline business or to generate revenue online, you should seek a web page building tool that doesn't contain any type of adware or spyware. It's also not a good idea to use a free hosting option for any type of commercial website. Remember that the website you create, along with the image conveyed by your hosting service, will have an impact on your company's image. The web page builders discussed here are just a few of the many available options for individuals interested in creating their own websites. When choosing a web page builder, it's important to consider your level of skill, need for hosting services, and how you plan to use the website in order to choose the tool that fits your needs best.